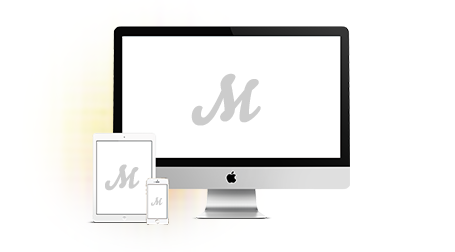 Whatever ideas you may have - we have the expertise and technology to help you. With over 15 years of experience in creating fantastic products for our clients, we can advise you on the best way to move forward. And our iterative process and cutting-edge technology allows us to rapidly deliver the product you need. 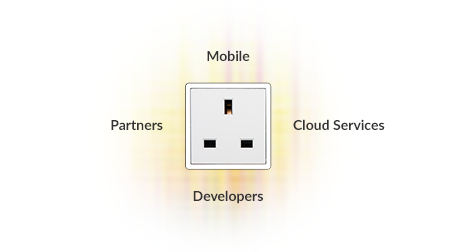 With the wealth of cloud services available today - the scope of what can be built is incredible. With expert knowledge we can help you find the best way to utilise these resources, deliver solutions and in turn open up your system to the world of partners, other developers and provide a back end for mobile applications. 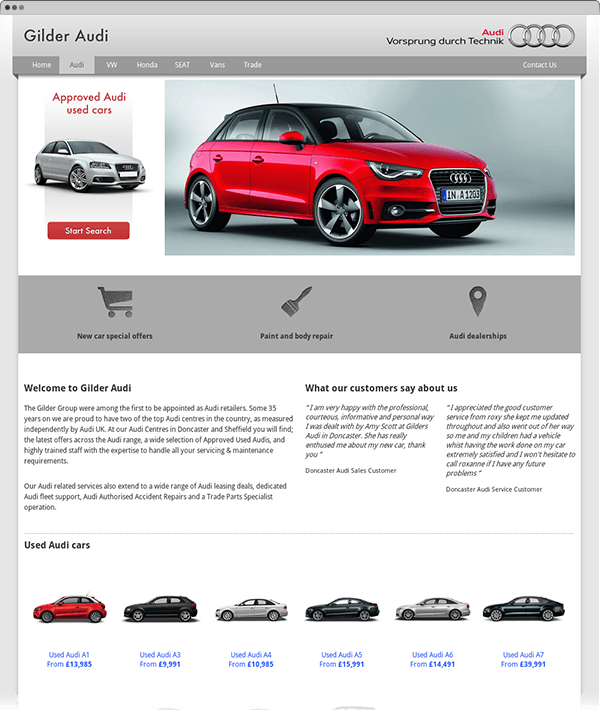 Gilder group are the oldest Volkswagen dealer in the UK, up until recently they had Volkswagen, Audi, SEAT and Honda brands under their belt. A few years on, it is still one of the best dealer websites around. Our smart application of technology and creative thinking made it a highly effective tool for the business and a great resource for their customers. 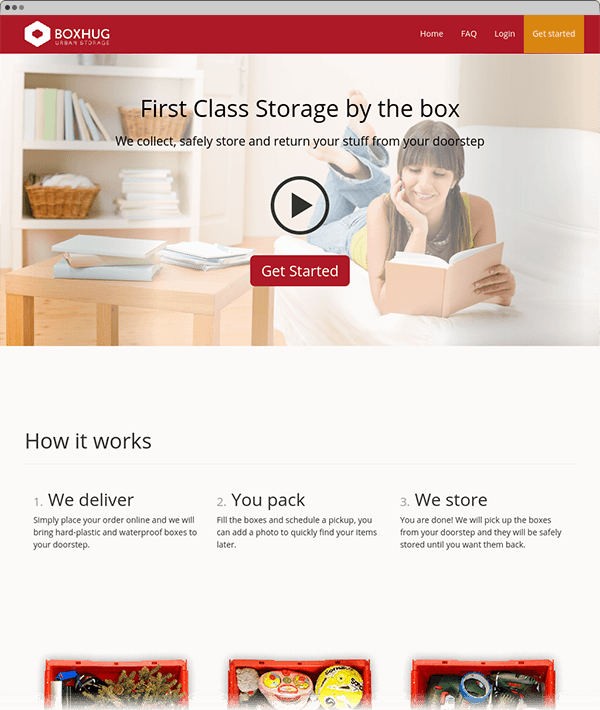 An innovative storage company. Working closely with the founder, we have taken this project from a rough state to a clean and fully functional operation. It has since won Virgin's 2014 Pitch2Rich startup award. 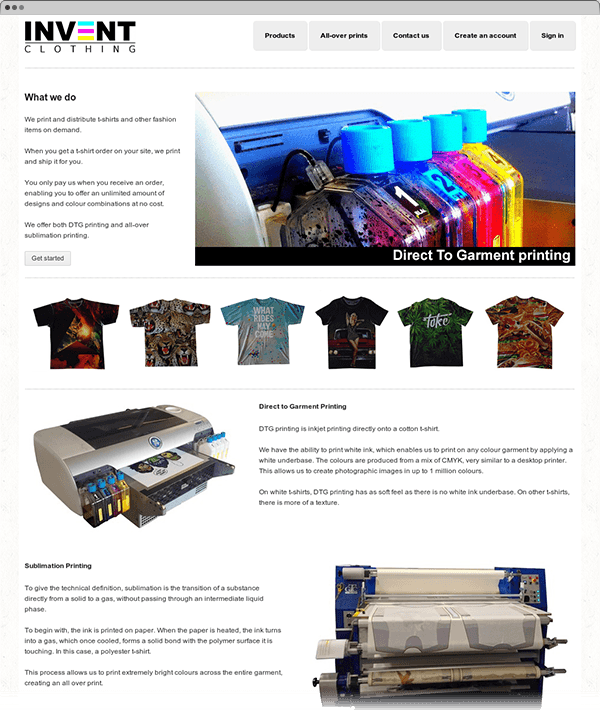 One of the top systems in the booming print-on-demand industry. Invent's great service allows their clients to grow and scale with ease, our system provides the order system, asset and print management at the heart of this service. A tutorial on setting up an email server from scratch using dockermail.